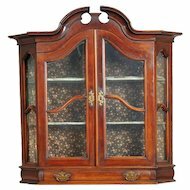 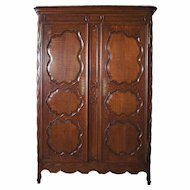 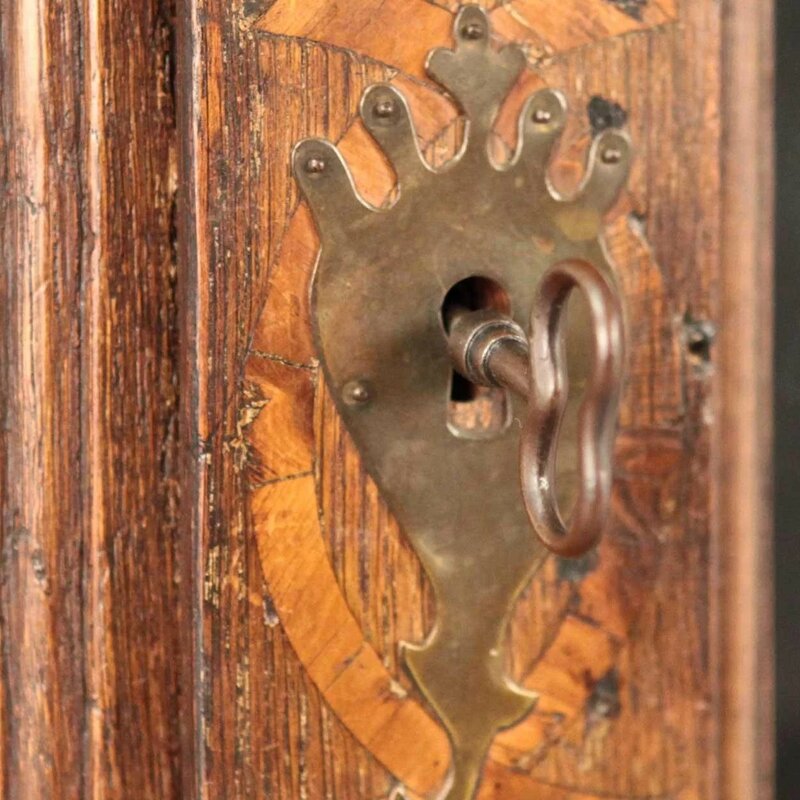 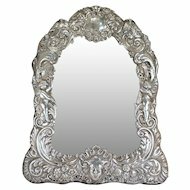 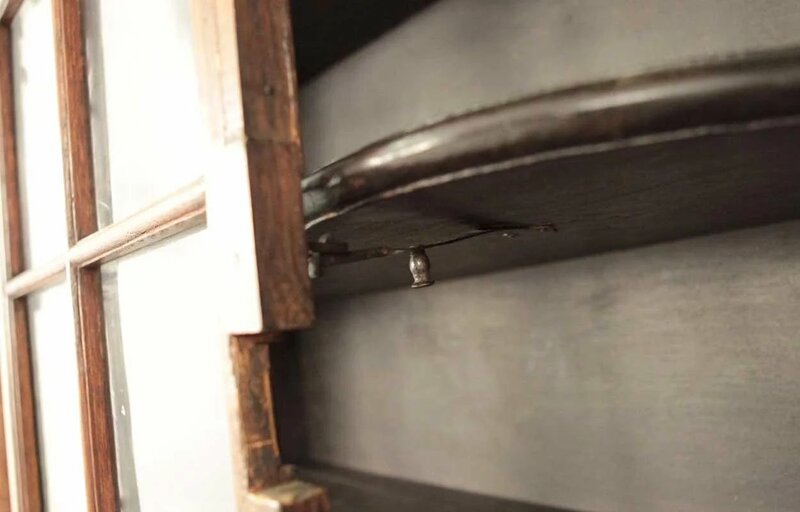 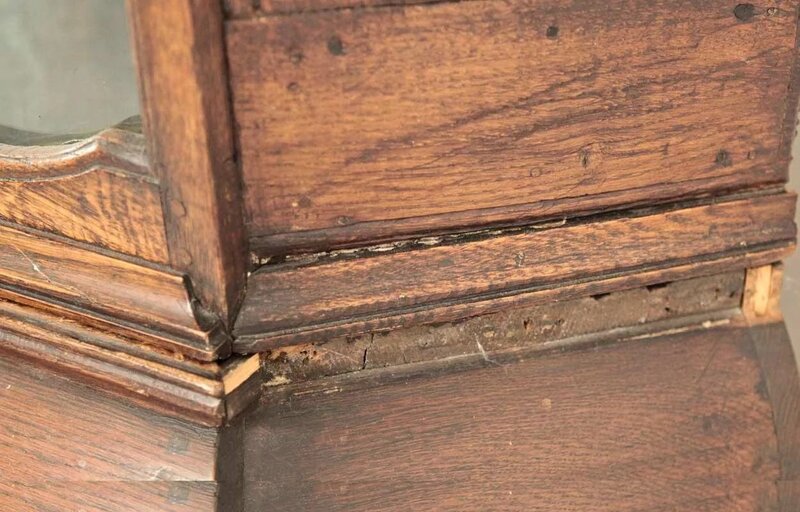 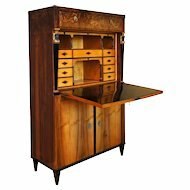 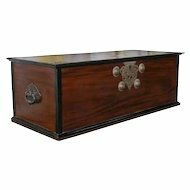 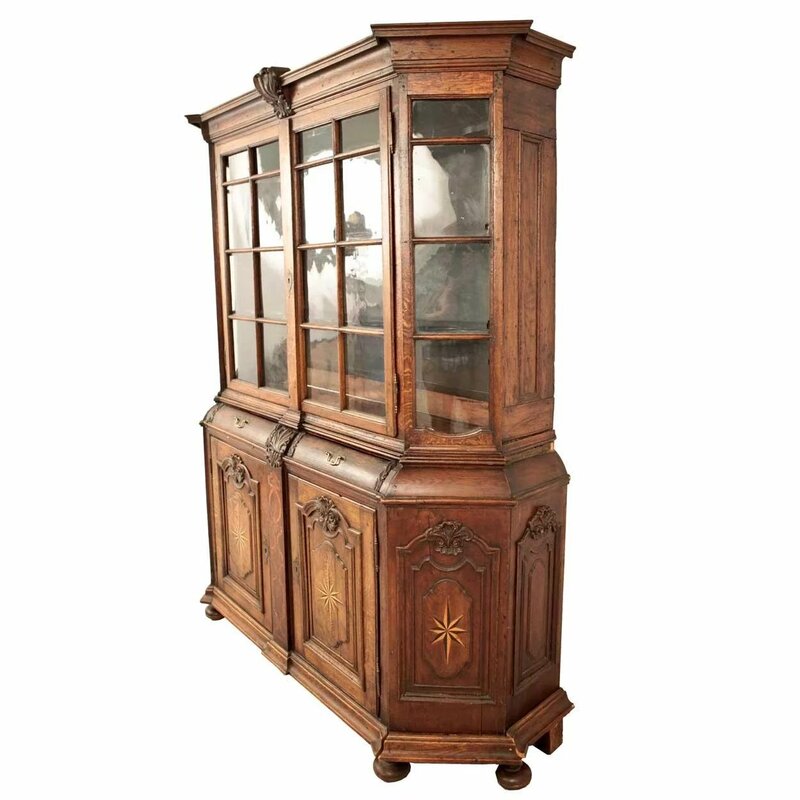 This very attractive, antique display cabinet has a unique canted corner design. 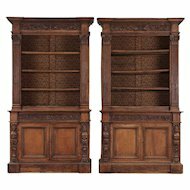 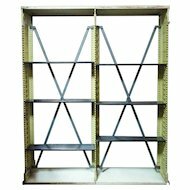 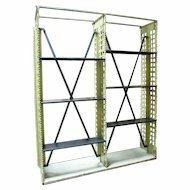 The glazed door upper two-door cabinet is fitted with shelves. 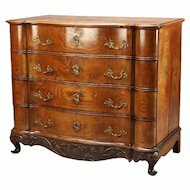 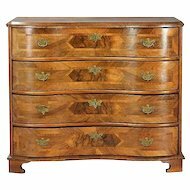 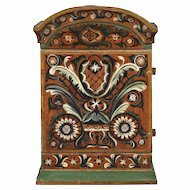 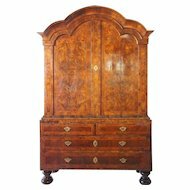 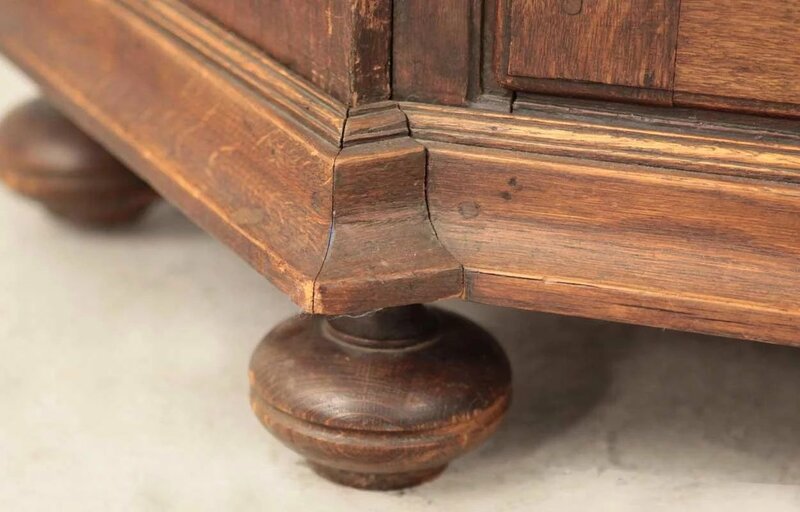 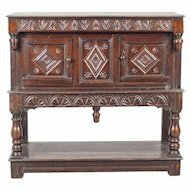 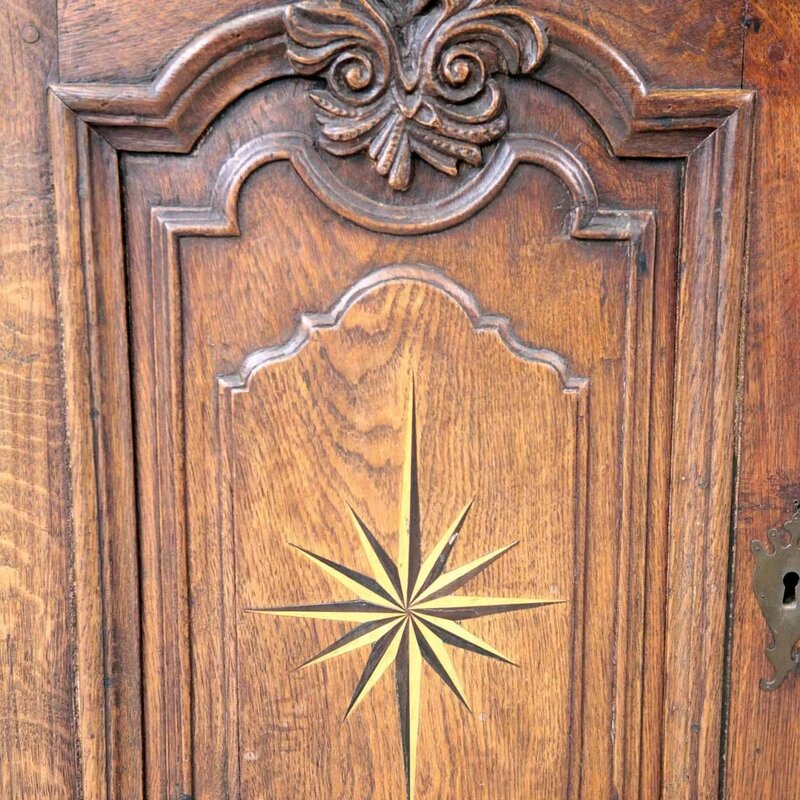 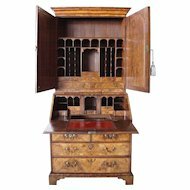 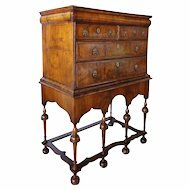 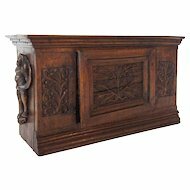 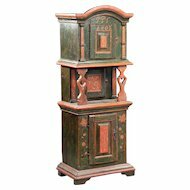 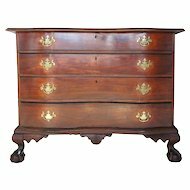 The closed base is crafted with two frieze drawers over a two-door cupboard with moulded panels and parquetry star decoration and is raised on turned, ball feet.